Roxanne Peacock has used several of The INDATA Project’s services and I spoke with her to learn about her and her experience in utilizing these services. I learned that Roxanne is 55-years-old and she has been married for 18 years. She has 5 children and 2 grandchildren. She grew up in a small town in Ohio called Bethel and now lives in a rural town in Indiana. She has had several different jobs throughout her lifetime. Roxanne said, “I am a jack of all trades. I have worked in the food industry for half of my life and then moved into the customer service industry for a garden company. Roxanne remained in the hospital and came home right before Christmas. She said, “The first thing I did was get back on social media and let everyone know I was still here. It helped a lot.” Roxanne was able to use social media to keep up with friends and family members since it was no difficult for her to leave her home. Roxanne’s computer then crashed and she lost her main way of socializing and keeping up with her family and friends. 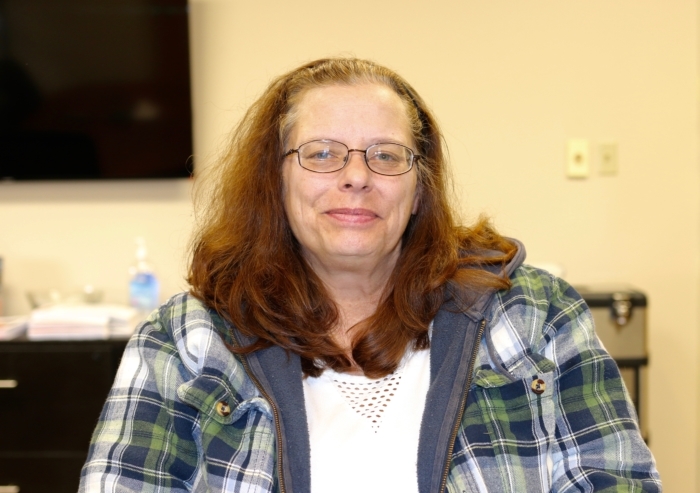 She said, “I was so depressed.” Roxanne was not able to afford a new computer and one of Roxanne’s nurses told her about Easterseals Crossroads Computer Reutilization Program. Roxanne contacted me and I told her that she could get a refurbished computer and how to apply for one. I also told her about our Alternative Financing Program. INDATA provides low-interest extended rate financial loans to qualified individuals through the Alternative Financing Program (AFP). AFP loans are for assistive technology devices including, but not limited to hearing aids, augmentative communication devices, Braille equipment, computers, environmental control units, home modifications and accessible vehicles. After learning about the AFP program, Roxanne thought they might be able to afford to buy a used vehicle and get it modified using the low-interest bank loan. 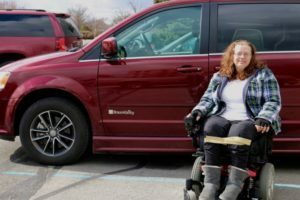 Due to Roxanne’s injury, Roxanne was going to need an adapted vehicle and was going to need to learn how to drive an accessible van. 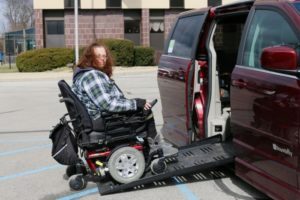 She contacted her Vocational Rehabilitation Counselor and they referred her for a driving evaluation and driver’s training. Vocational Rehabilitation is a state agency that helps individuals with disabilities get the services and equipment they need to obtain or maintain employment. Roxanne ended up purchasing a new van at the same place she did her driver’s training instead of using the AFP loan. She said, “….the process was arduous and we really did not have the money to buy a new van.” They picked up the new van from the dealership and learned that the interest rate they had promised her was much higher than what they had quoted her. In the meantime, Roxanne had filled out the application for the AFP program to see if she could get help with the cost of the modifications she would need to make to the van so she could drive it. Orbit Reader 20: Braille for Everyone!